Global Nonviolent Film Festival (previously known as Brasov International Film Festival & Market) is the most important and renown nonviolent film festival in the world. 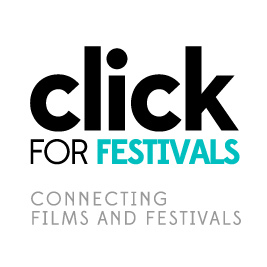 In 2016, the two founders made film and internet history by bringing the Festival on-line exclusively and allowing, for the first time, the world viewers to enjoy all the selected films from the comfort of their homes on its Official TV Channel. Each year, all selected films are featured in the annual edition of Daria! magazine that is published in August and it is available online. Some of the previous issues may be read here: Daria! Over the years, some of the filmmakers awarded here include: Nicole Kidman, Woody Allen, Richard Gere, Keira Knightley, Robert Redford, Sarah Jessica Parker, Woody Harrelson and Cameron Diaz among many others. Some of the films that have been awarded at Global Nonviolent Film Festival gained access to theatrical releases and have competed for Academy Award®’s nomination consideration. We want that the rights of women and children are respected. We want to fight intellectual pollution, stupidity, racism and discrimination. We want to show that nonviolent films can be commercially viable and can contribute to achieving a better world. We want to win the fight against ignorance and bigotry. We want to use the art of film as a weapon in order to improve the viewers’ lifestyle. Our CAUSE is driven by high ideals and it is more important than any one of us. It is a new world; it is time for a new morality! It is time to put the important things first. We are working for our CAUSE through the medium of film because we are filmmakers. Film is our way of expressing ourselves and we take into consideration the fact that our films will live on after us: they will become our legacy. Global Nonviolent Film Festival is privately owned and organized by Global Film Studio Inc., a Canadian company federally incorporated.